Think private helicopters are only a luxury for the extremely rich or celebrities? Think again. More and more, charter helicopters continue to grow in popularity – not as a means for directly displaying wealth but rather as a higher-priced convenience for getting around congested urban centers like New York City. In July 2013, Slate magazine profiled this growing phenomenon in metropolitan areas on both coasts. In New York, a growing demographic of young professionals with money to spend, they point out, schedule private helicopters for travel, although owning one is far less financially feasible. Or, another perspective pointed out, the issues often found with public transportation – slow speed and possible transit strikes – make finding an alternative mode necessary, and that’s where shared helicopter charters come in. 1. Find a local helicopter charter company and make an appointment. 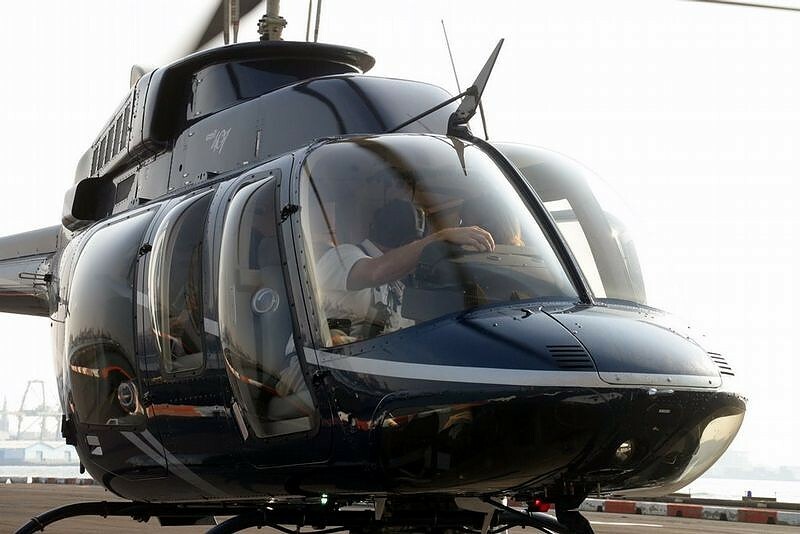 As simple as it may seem, not every helicopter company offers chartered services or has time to accommodate your trip. 2. Ask about pricing. After you shop around and find the right match, ask about how much a trip will cost. Fees vary between companies, although it’s a given that smaller groups and shorter trips cost less than longer, larger excursions. 3. How long is the trip? That being said, a helicopter may be a great way to get out to the Hamptons from New York City or even to travel up to Boston or down to Philadelphia, but keep in mind, too, that helicopters need to refuel often. As a result, trips exceeding 10 hours are not recommended. 4. Where do you plan to go? In most cases, the destination is no more than 15 minutes away. Once you have your location picked out, find out where the pilot plans to land. This may be at one of the many municipal airports around the city, or could be a field away from telephone wires. If the latter is the case, you will need to obtain written permission from the landowner first. 5. Plan to pack light. Although some equipment or luggage is perfectly fine, it’s recommended that those planning to take a private helicopter pack light. A few suitcases, a camera for taking pictures, and a carry-on bag just might be all your group should bring on its trip. Does Helicopter Flight Services Fly Tours and Charters in the Winter?